Caterpillar pose is a seated forward bend type of yoga. This Yin yoga pose lengthens the ligament that helps to stretch the spine and kidneys and also activates the hamstrings. Caterpillar pose compresses the abdomen and improves digestion. Check out below to get into the pose. Straight both of your legs out in front of you. Rounding up your spine lean your body over the legs. Hold these pose for 3-5 minutes. This pose is very good for your spine, stomach, kidney, and heart. The dangling pose is one of the easy and effective Yin yoga poses to do at home. This pose is a standing forward bend pose that helps to stretch the pose and loosens the hamstrings. Let’s know how to do this below. Evenly distribute weight through the soles of your feet. Clasp your elbows or let your hands rest. Hold it for 3-5 minutes. Avoid this yoga pose on pregnancy, high and low blood pressure. Seal pose is one of the yin yoga poses that is the best yoga for the lower back. This yoga pose helps to cure low back pain and even it helps them who do not have any issues. So let’s see below how to do this yoga pose. Place your palms on the floor. Inhale and push yourself up, onto your hands. Hold this pose for 4-5 minutes. This pose is effective in pregnancy. 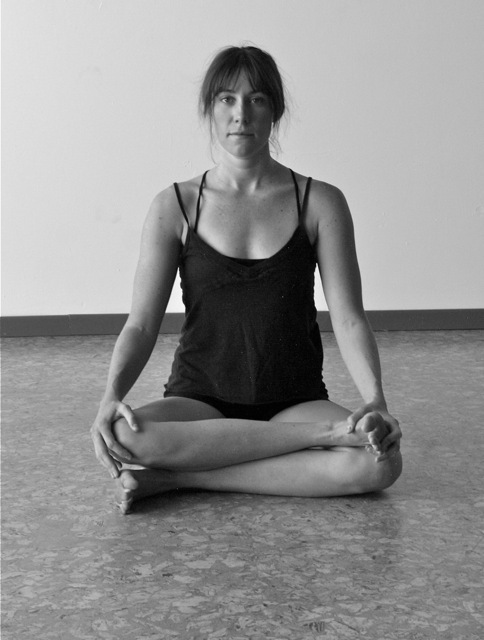 Square Pose is one of the yin yoga poses that is the best hip opener yoga. This yoga pose helps to strengthen the hip and spine joint. So check out below to get into this pose. Sit on the ground extending your legs. Now bend your left leg and cross the ankle over. Bend your right leg and cross over on the left knee. Keep your knee and ankle parallel. Hold this position for 3-5 minutes. Keep in mind that it is not half lotus position. This is different than half lotus position. The Snail Pose requires high concentration, relaxation in Yin yoga poses. This pose is difficult than other yin yoga poses. This yoga pose releases the whole spine. It also relaxes the heart and brings more blood flow to the head. Supporting with your hands lift your hips. Place your feet on the floor over your head. Hold this pose for 3-5 minutes. The Snail Pose can be dangerous if you have a head, neck, or upper back issues.